Anthony Heath’s research interests cover social inequality and social cohesion with a particularly interest in ethnic inequalities (in education, the labour market, and politics). He is involved in collaborative, cross-national work on ethnic inequalities in education with scholars in Europe and North America, and recently completed a major cross-national collaborative study of ethnic inequalities in the labour market. 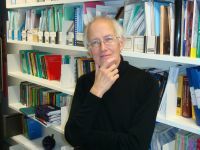 In autumn 2009 he co-organized (with Prof Christopher McCrudden) a cross-national conference at the British Academy on affirmative action policies in different jurisdictions. His work on ethnicity has also contributed to policy developments in Britain and abroad; he is a member of the DWP’s Ethnic Minority Advisory Group and is currently working with the DWP to develop an index of race equality. He has also carried out research in this and related fields for the DCLG, EHRC, Ministry of Justice, Cabinet Office, OECD, the EC and UNDP.